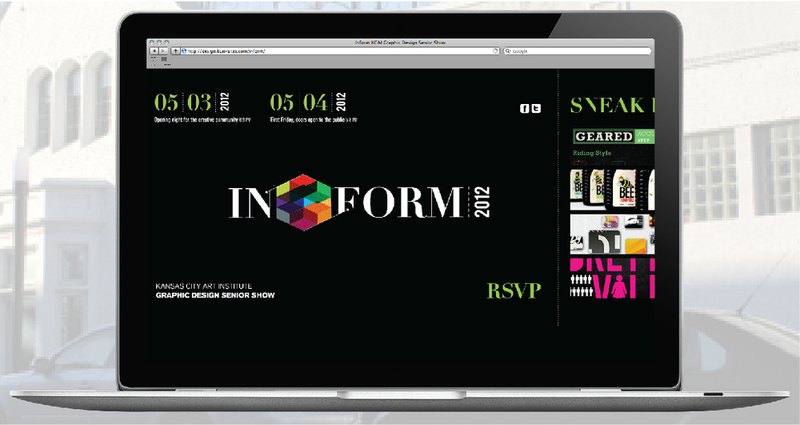 Inform was a collaborative effort for my senior design class in college of 2012. The concept and logo design was done by a colleague, but I was tasked with the complete website design and assisted in the animated form of the logo itself. This included many challenges from working with a developer for the first time, expanding the personality of a single logo to that of an entire site (and it's social pages), and providing equal representation to a wide array of designers and project styles. Like the logo, I wanted our site to be colorful, yet restrained. It needed to hint at the concept our class' modularity, as our work was mixed and curated throughout a space to provide interesting narratives from project to project. Yet it also needed to showcase each designer's personal strengths, a bold but reserved preview of their work, and a host of written and visual information to find that designer on the exhibition floor. Rather than hiding times, dates, etc. 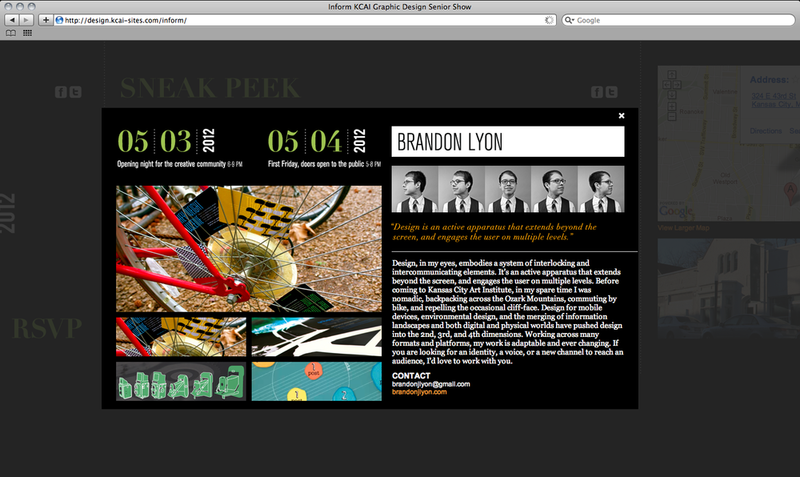 behind sub pages, I opted to design the site primarily as a longer form page. In this way, a visitor could quickly load into the page, get the information they need, and attend. You can view the site here to get the full experience as a possible attendee.